The journalists’ organisation has not joined in calls for the governing ABC Board to be sacked outright but has given the Senators a formula for doing it. 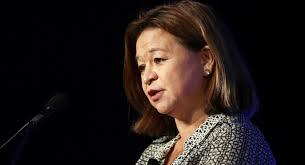 It has reacted to the collective uptight response of the seven surviving members of the governing body, to last September’s crisis over the sacking of the Managing Director, Michelle Guthrie. 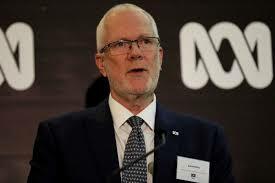 Guthrie, when fired on 24 September, confirmed accusations that the then Chairman, Justin Milne, wanted the sacking of two senior journalists plus actions against Triple Jay radio and a comedy program – to head off government reprisals in the form of new budget cuts. When he then resigned, on 27 September, an acting Chair, Kirstin Ferguson, was appointed, who said Milne’s departure was a relief but otherwise would not tell what had gone on. Interviewers got effectively nothing from Ferguson as to how much she and the other Board members knew about the exchanges between Guthrie and Milne – nothing to shed any light on later leaks that they’d been taking different sides. The rule of silence follows the “corporatisation” model taken up by the ABC to make it like a commercial company. That means non-media business types occupying the board, and a tight-lipped “top-floor” culture, over-doing “commercial confidentiality” enough that you cannot know if they do any more than tick-off on what managers tell them. The MEAA (Media Entertainment and Arts Alliance) wants this changed, demanding transparency, plus representativeness and expertise – with a set minimum of media professionals on the board. The Senate Standing Committee on Environment and Communications, into allegations of political interference in the Australian Broadcasting Corporation (ABC), submissions now closed (on 13.11.18). These inquiries have transparent processes and publish their reports. An inquiry by an “external, independent expert adviser” appointed by the ABC Board the day before Guthrie’s forced resignation, to investigate “matters” relevant to her trouble with the organisation. The identity of the advisor, and process details, were kept secret. “As noted, it is being investigated and managed on a confidential basis”, said a spokeswoman for the Board. The Communications Minister, Mitch Fifield, bid into it, mid-crisis on 26 September, announcing his Department Secretary, Mike Mrdak, would investigate. WHAT DO THE MEDIA WORKERS SAY? 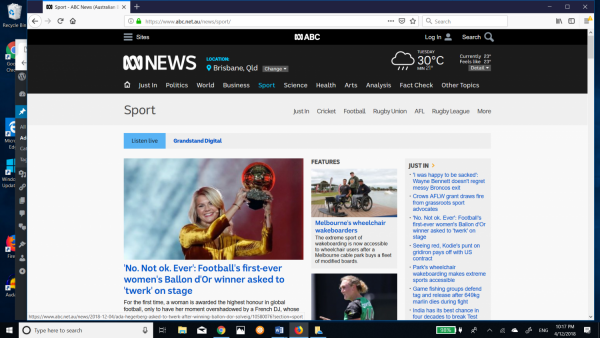 The MEAA statement says the process for nominating and appointing candidates to the ABC Board needs a complete overhaul to ensure the board has appropriate levels of media experience and is protected from interference by lobby groups. The MEAA has also made recommendations to the Senate inquiry for external independent advisers to assist in setting triennial funding of the ABC, and for a review of the ABC’s Audience and Consumer Affairs division to ensure there is procedural fairness when dealing with external complaints. “This affair has also highlighted other deficiencies in the current board, namely: a lack of experience in media or broadcasting, and the potential conflicts of interest that may arise when directors have roles with industry lobby groups. 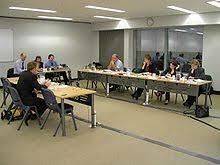 The problem will not go away for members of the current ABC Board. The public Senate inquiry is multi-party, though dominated by the Opposition and Greens, and is set to report in a politically-charged atmosphere, by 29 March next year – a month or so before the coming federal elections. If the inquiries get out some hard information about the ABC’s governance, and dredge up more questions to be answered, there will be no refuge in haughty silences for members of the Board. The Board under law has to safeguard the independence and integrity of the ABC – it will be time to talk.